Weakness of age, red dot sticker of the public order office, total loss after an accident or too high costs for pending repairs: Sometime it becomes necessary to scrap the own car. There are several ways to dispose of your old car. The easiest and quickest solution is to have your car disposed of by a certified disposal company. What happens when a car is scrapped? Not every company can simply dispose of a car. For example, it must comply with the End-of-Life Vehicles Ordinance (Altfahrzeug-Verordnung – AltfahrzeugV). 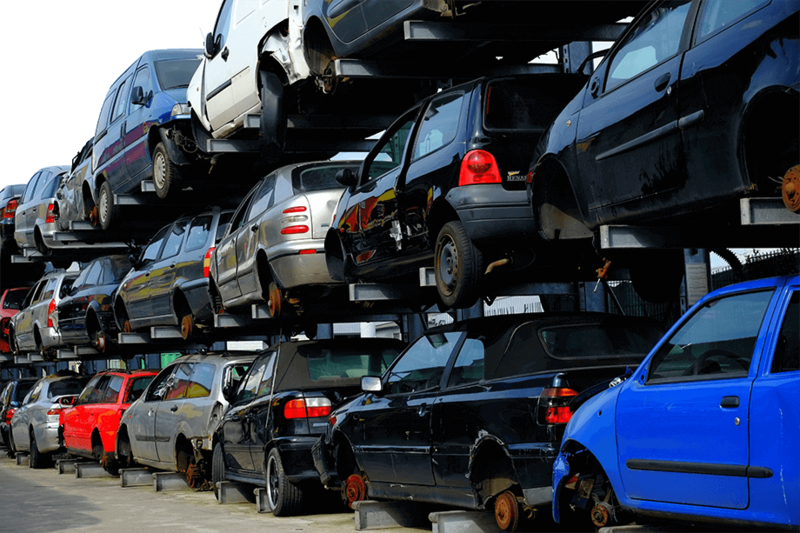 This means that the cars can only be returned to registered, certified collection points and dismantling companies or to the corresponding car manufacturer. The environmentally compatible disposal of individual liquids and components as well as the recycling of the car are also regulated in this regulation, which is valid throughout Germany. We pick up your vehicle directly from your home in Germany with one of our car transporters and transport it to our junkyard. Once there, the car will be professionally dried on our modern disposal stand. This process is defined by the regulations in the End-of-Life Vehicles Ordinance and by the specifications of the automobile manufacturers and is carried out in the same way in every certified company. First of all, it is important to dispose of all parts and materials that are flammable, explosive or harmful to the environment properly. This includes removing and disposing of or rendering harmless the battery, the liquefied gas tank and all pyrotechnic components. We also dispose of all liquids such as petrol/diesel, liquid gas, brake fluid and radiator fluid as well as oils such as engine oil, transmission oil etc. in accordance with regulations. Sometimes components such as the engine or alternator can be used for other purposes. We also remove these from the vehicle and store them. After professional draining it is safe to scrap the vehicle mechanically. First, it is pressed into a cube to make it easier to store and transport. We take these packages to a shredder where they are shredded. The resulting small parts can be sorted and further processed. The main components of the car wreck are steel and iron, which are often used in steel-producing companies. Other components such as rubber, plastic, glass or small cables are also further processed by the industry. In this way, the complete car is dismantled into its individual components and either disposed of or reused. This is why car scrapping is also referred to as car recycling. Which documents are necessary for scrapping? When we pick up your car for scrapping, you should have your car keys, registration papers and registration papers ready. 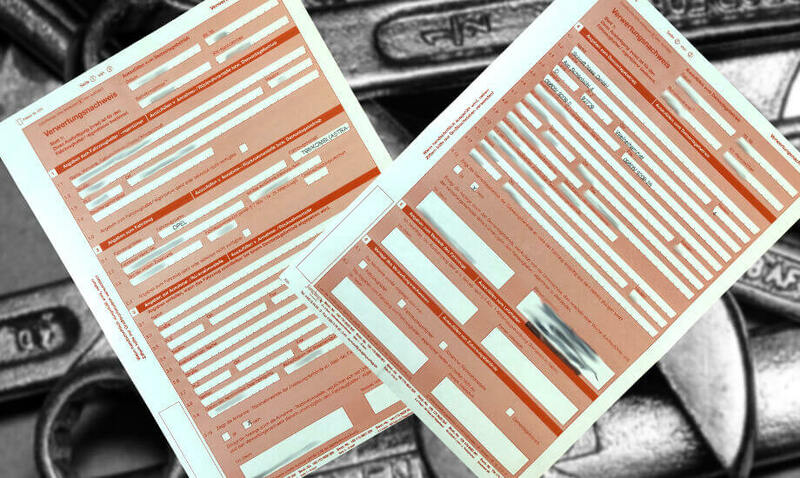 It is especially important for us to have a look at your registration document. It serves as proof that you are actually the owner of the car. If you can no longer find the registration document, you can have it issued by the responsible registration authority. However, this is time-consuming and costly, as a declaration in lieu of an oath about the loss of the vehicle registration document is necessary. In addition, don’t forget to unscrew the registration plates, as you need them to deregister the vehicle! 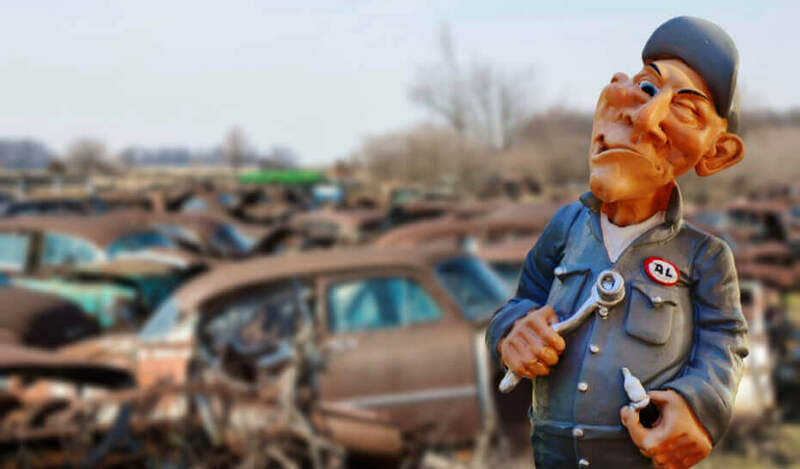 If your car is scrapped, you should check it out with the registration authorities. If you do not do this, you still have to pay vehicle tax and insurance. In order to prove that you have properly disposed of the car in accordance with the End-of-Life Vehicles Ordinance at an authorised specialist company, we will issue you with a certificate of recycling. With this certificate of recycling, vehicle registration document, vehicle registration document, identity card and the number plates (to make them invalid) you go to the registration authority and complete all the formalities for deregistering your car. The authorities will also forward the deregistration to the tax office and your motor vehicle insurance company. If you don’t have time to deregister your car, we will be happy to do this for you. Just talk to us about it! The Ordinance on the Transfer, Take-Back and Environmentally Compatible Disposal of End-of-Life Vehicles, or the End-of-Life Vehicle Ordinance for short, came into force for the first time in 1998. It stipulates that cars may only be scrapped by recognised collection points and recycling companies. This regulation is based on Directive 2000/53/EC on end-of-life vehicles, which regulates the scrapping of vehicles at EU level. All automobile manufacturers worldwide are committed to compliance and have taken appropriate measures. These include, for example, the IMDS (International Material Data System). This database registers all chemical and material compositions contained in car components. And why these exact regulations if you want to scrap a car? Under the Closed Substance Cycle Waste Management Act, Germany undertakes to conserve natural resources, promote the recycling of waste and protect people and the environment when processing waste. This also means that cars with their numerous components and the liquids they use are not simply left standing around. For example, petrol or motor oil could seep into a nearby stream and damage the environment. If you think about disposing of your car, one or the other will surely think of a number of other possibilities. But these ways are not always legal or they are connected with higher costs and more expenditure of time. Not a good idea, ‚cause you’re making yourself a felon. No matter whether it stands longer-term in your garage or at the roadside – according to §326 StGB this can be punished with a fine or imprisonment. Above all if environmentally harmful materials leak out, a fine in the five digit range can be due. At the latest, if you find a red dot on your driving or operationally unfit car, you should worry about the disposal. Then the city council or the police will have become aware of the vehicle. 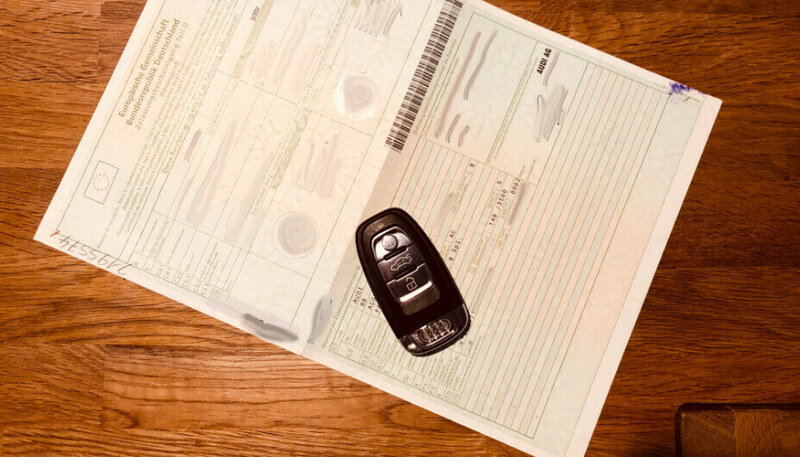 If a car is deregistered and not re-registered, for example after a sale, and there is no proof of recycling, the Ordnungsamt assumes that it has been disposed of illegally. By the way, the owner of the vehicle can be identified quickly, even if the license plates are missing: With the help of the chassis number (also vehicle identification number). Anyone who is still hoping for a small return on his old car can first try to sell it. If the car is still roadworthy or the TÜV has not yet expired, sometimes a buyer can be found. However, this costs time and money for the advertisement, in which the car stands further in your garage and takes up space. You also have to pay taxes and insurance. If you want to get rid of your old car quickly and free of charge, a certified acceptance company like Nasz Autoentsorgung is the best choice. We not only collect your car from your home, but also take care of its complete, environmentally friendly disposal. We will provide you with a recycling certificate and, if you wish, we will register your car with the registration authorities. 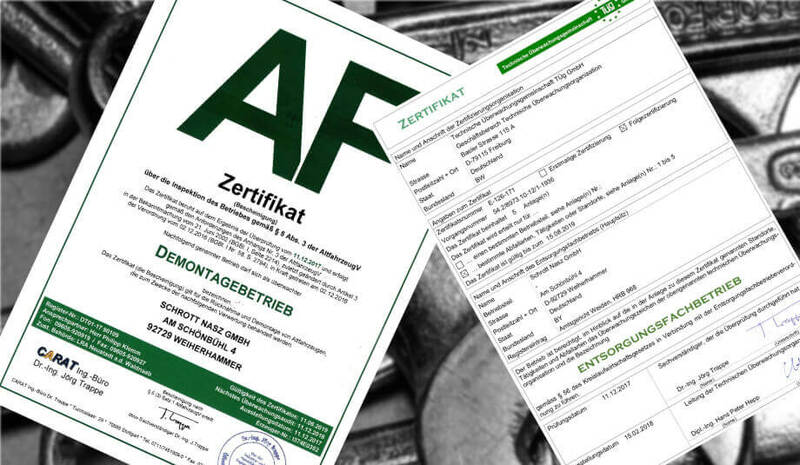 The manufacturers of the vehicles are obliged by law to take back their vehicle models free of charge or to instruct their authorised dealers to do so (§3 AltfahrzeugV). However, this will result in a greater time and financial outlay. First you have to find an appropriate collection point and tax and insurance payments will continue until the car is deregistered. the car was not last registered in the EU. the car was registered for less than one month before it was taken out of service. the car important components were removed. additional waste was added to the car. the registration document has been changed. If, for example, you have made changes to your vehicle as part of a tuning which had to be entered in the vehicle registration document, the manufacturer will no longer charge you for disposal. Does the disposal cost anything? Will the car be collected? We will collect your car free of charge from anywhere in Germany. Do I still get money? No, your car will be professionally recycled, pressed and disposed ofaccording to ecological aspects. Do I have to deregister my car beforehand? No, we will be happy to do this for you at an extra charge. Is there a certificate of recycling? Yes, on request and free of charge. Unser Service für kostenlose Autoverschrottung wurde durchschnittlich mit 5.0 von 5.0 Sternen bewertet.